It was just a few days ago when we teamed up with spare parts and Crafthouse SA to pull off our first event of 2016, Make My Valentine. We had a TON of fun, and made some really awesome things. 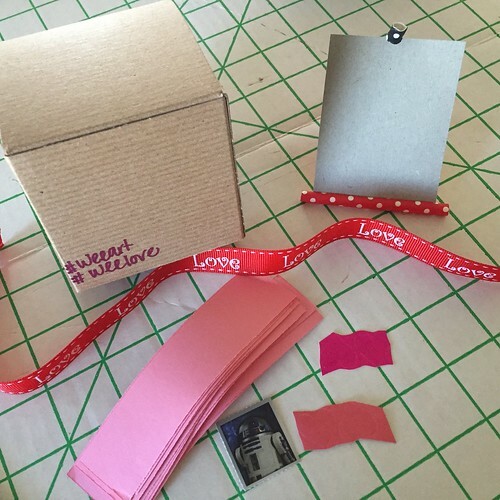 If you recall from our blog post announcing the event, we set out to make Valentine’s Day mobile/wall hangings, a Mini Art Museum mystery box, and DIY vases and bouquets. With a group of over 15 makers, we crafted up some pretty nifty pieces of work. Check out the photos below to see for yourself. A special thanks once again to Victoria from CrafthouseSA for the opportunity to participate in a craft takeover.